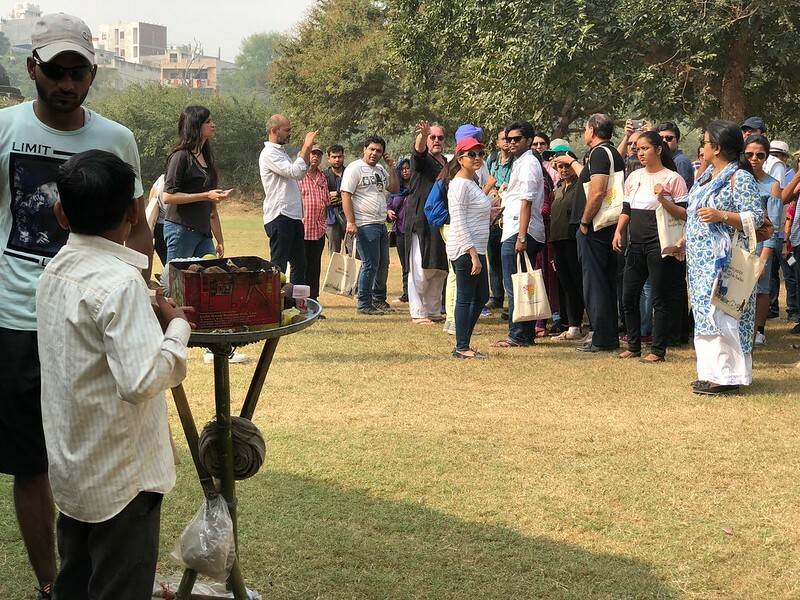 More than 50 experts from different fields have been pooled in for the ongoing Delhi Walk Festival. Only three of them are foreigners. 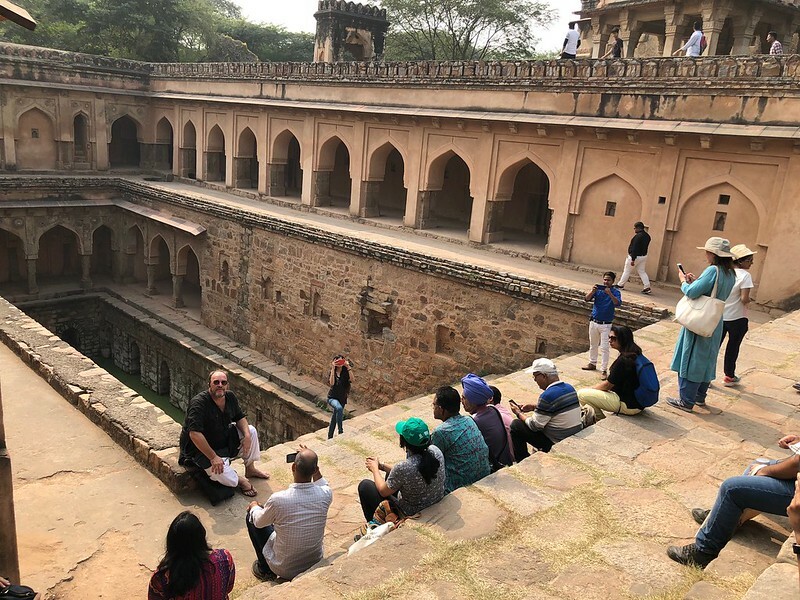 While no walk can have more than 30 participants, the only exception is for this man’s walk—“His group limit is 40 because he is he,” explained an organizer. 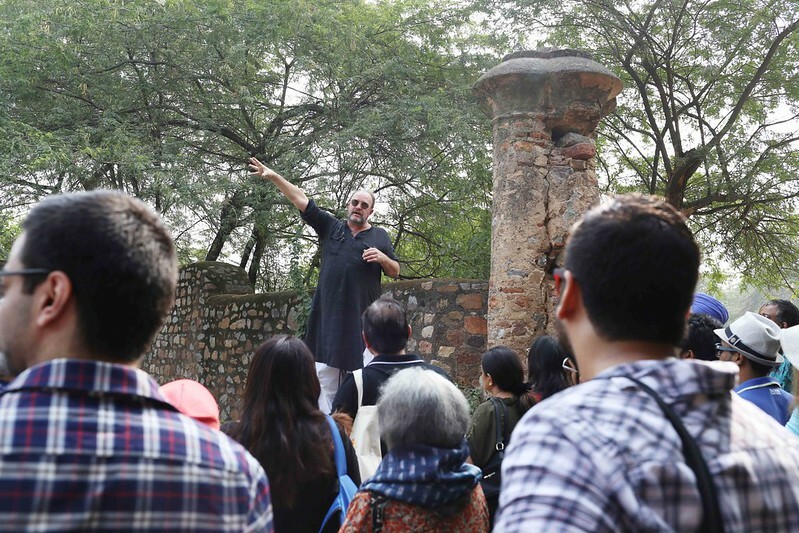 The ‘he’ was Delhi’s longtime dweller William Dalrymple. 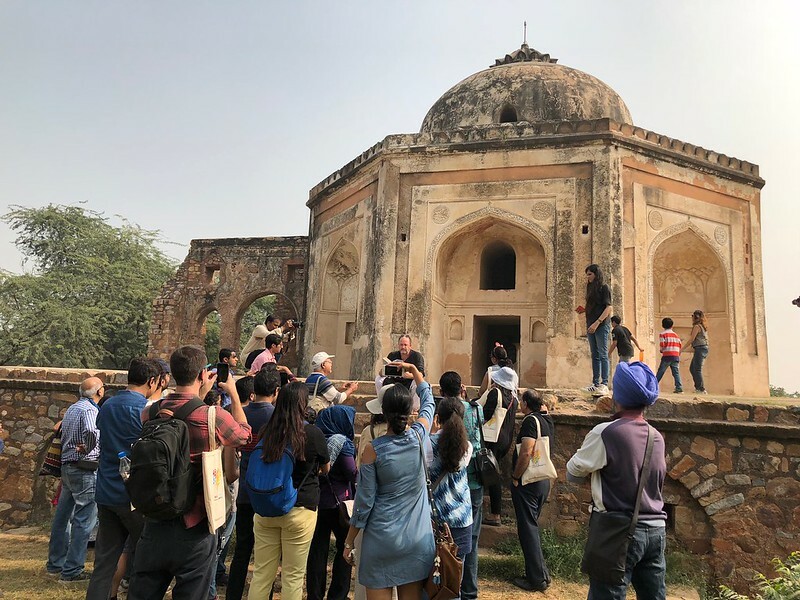 The famous author of City of Djinns: A Year in Delhi conducted a long dusty walk one Sunday morning yesterday through Mehrauli’s deliciously dense jumble of forgotten graves, gateways, and domes in south Delhi. 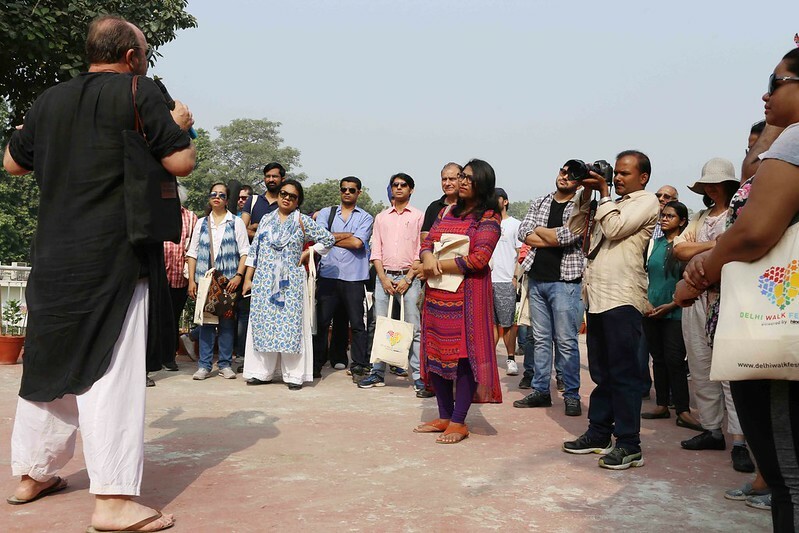 With the humble hawai chappals as his walking gear, the historian gossiped about obscure late Mughal emperors as casually as we do about our current politicians. 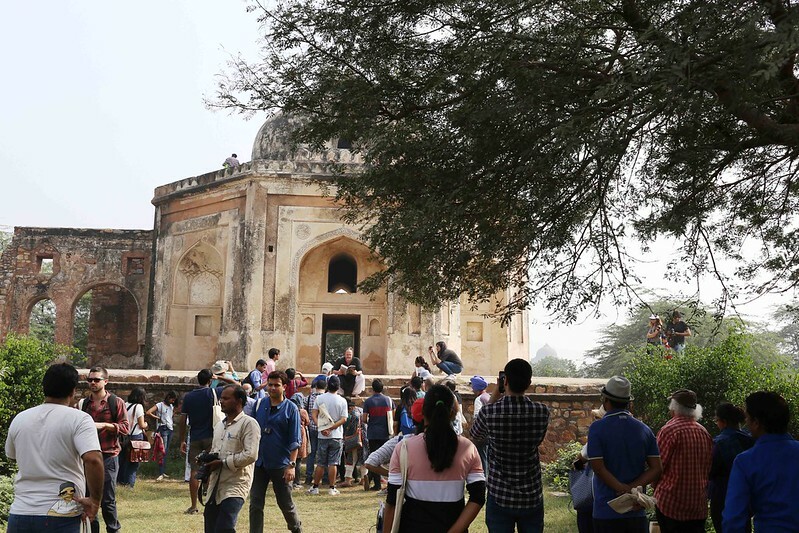 Parts of the archeological’ complex’s grounds were taken over by local cricketers. They looked curiously at the walkers as if wondering why a huge crowd is walking about the abandoned monuments for no apparent reason. 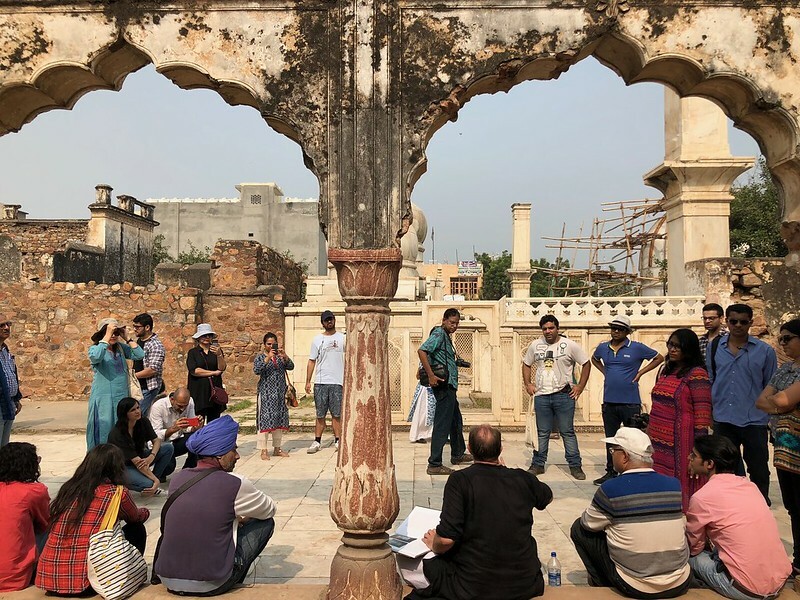 In one instance, a romantic couple inside Quli Khan’s Tomb was briefly rattled as the group sat at the monument’s platform to listen to Mr Dalrymple read an excerpt from one of his books. 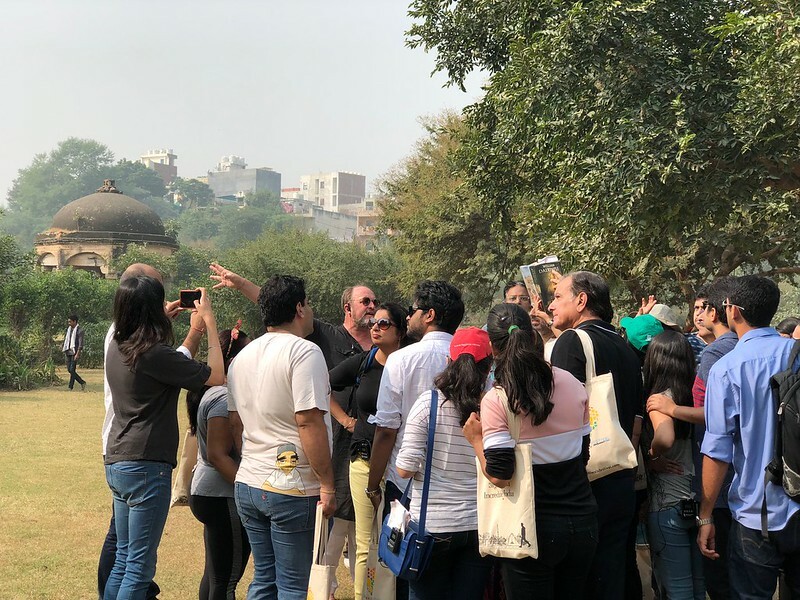 In another monument, just a few steps away, Mr Dalrymple walked up a steep staircase to show panoramic views of the region. It was thoughtful of him not to linger on the ground level — large parts of the old walls were covered in pornographic drawings. 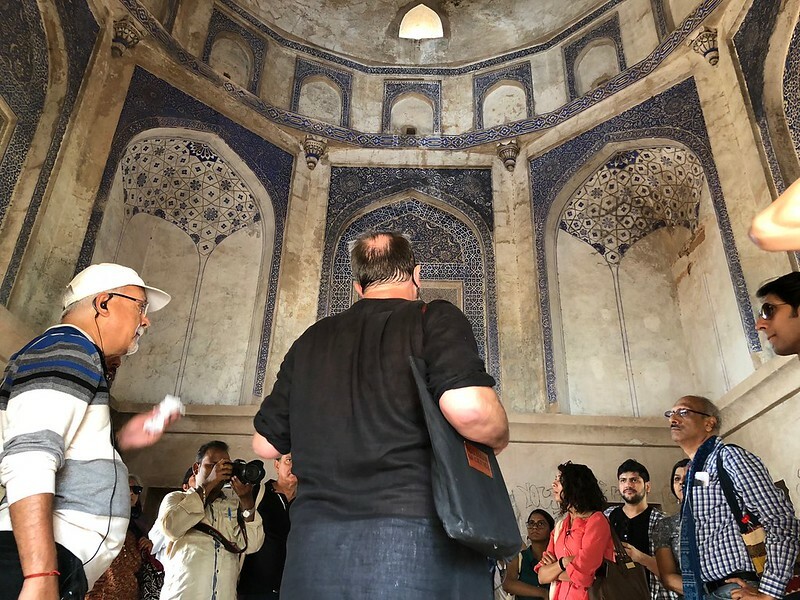 The group was charmed enough to good-heartedly amble through the Sufi shrine of Khwaja Qutubuddin Bakhityar Kaki where a flower-seller scolded the walkers for not buying her flowers. 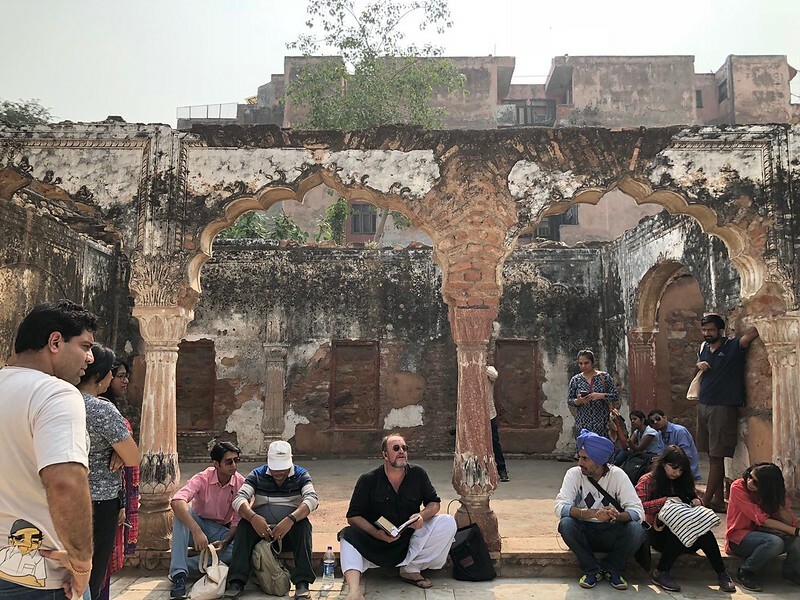 The final destination was Zafar Mahal, “the last great monument of the Mughals.” Here, in front of the empty grave where the last Mughal emperor Bahadur Shah Zafar wanted to be buried, Mr Dalrymple ended the walk by feelingly reading out a sentimental poem by Zafar. “On special demand”, Mr Dalrymple again led the same walk a day later. They’ve really cleaned the place up. At least the monuments. What about the in-between areas? Are they still overgrown and garbage-strewn? how to join this tour? One place to get all the Information about Delhi, the nations Capital, great work. Sounds like a great way to meet hot,single guys who appreciate our city’s history and culture! It gives profound joy to notice large group of people interested in the heritage of this wonderful city. 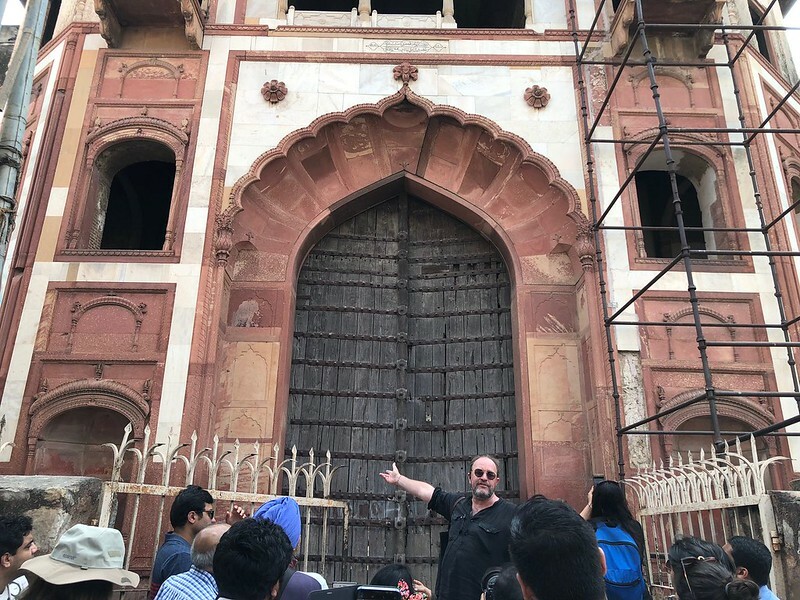 The monuments, the history are one of the greatest things that make Delhi, unique from other cities in India. 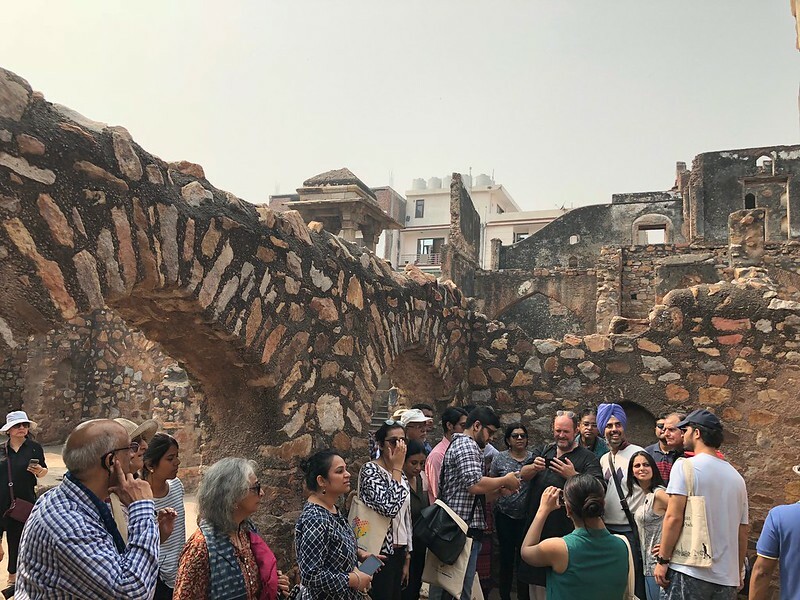 I personally look forward to participate in a heritage walk, very soon.